For many years, dogs have been referred to as “man’s best friend”, well, this is very true but some of us especially some females usually take this phrase literally and would often leave any dog related activity to the male gender. What happened to “whatever boys can do, girls can do better”? I am still a strong believer of the female gender and we have seen many of them doing what other men couldn’t even think of doing. If men could conquer the world of dogs and even became friends with them then let’s see women taking over their entire galaxy and this might start with simple things like spending a little time with them. Sounds fun right? 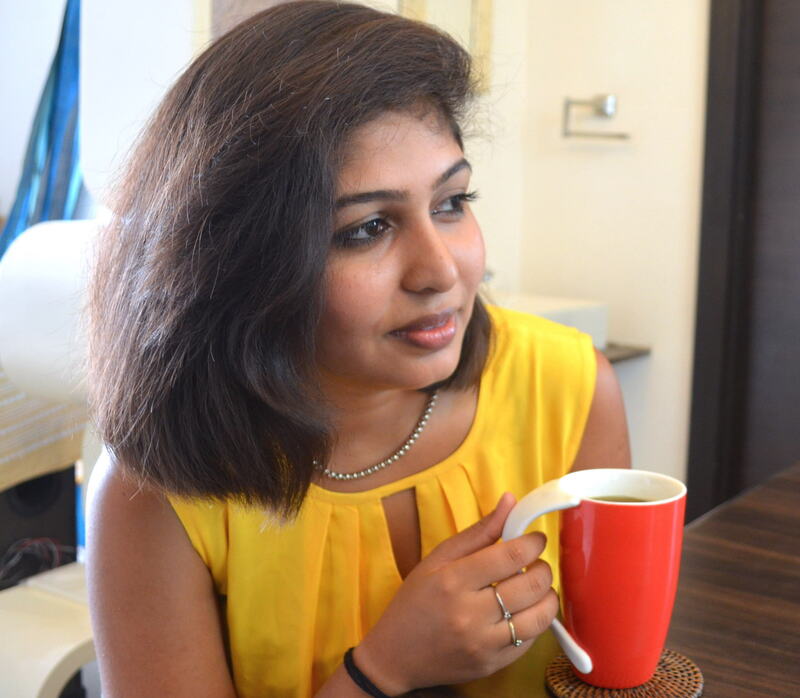 Women mostly don’t participate in most of these outdoor activities as they would often choose to stay back at home and enjoy doing activities which doesn’t require much energy. Going to the gym might not be the only way you can keep fit or even shade some weight. Sometimes engaging in some outdoor activities might be your way out and hiking is just one of them. 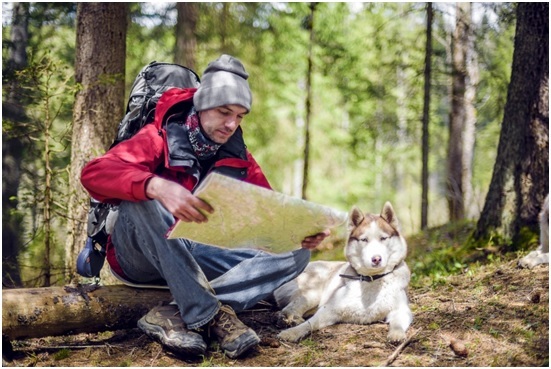 Hiking with your dog can turn out to be one of the most memorable experiences for both of you. Actually, witnessing their unfiltered enjoyment and energy goes miles to motivate you to go even further while appreciating the magnificent scenery. Taking your dog out for a hike reduces the chances of it getting bored at home with nothing to do and eventually turn to a lazy dog. Ultimately, the entire experience certainly leads to a spectacular time on the outdoors. It’s normal for many people to think that their dogs bring joy to everyone on the trail. Unfortunately, that’s not the case. Dogs frighten some people. Others might have a dog on the trail that can get aggressive towards yours. There’s an array of reasons why allowing your dog off-leash while hiking isn’t a great idea. To be on the safe side, conduct an extensive research beforehand to ensure that you’re not breaking the rules unintentionally. Most National Parks in the United States don’t allow dogs. Some dog-friendly trails need you to keep your animal friend on a 6feet leash. The rule of thumb is to do some research before going for hiking. Definitely, keeping your pet’s poop in tow isn’t pleasant at all. However, there’s more to its benefits than just keeping other hiker’s shoes clean. Pet excrement contains harmful bacteria levels that might disrupt and harm local wildlife, groundwater supplies, native habitats etc. As much as a good number of trails feature dog stool bag stations, others don’t. Therefore, always be prepared. 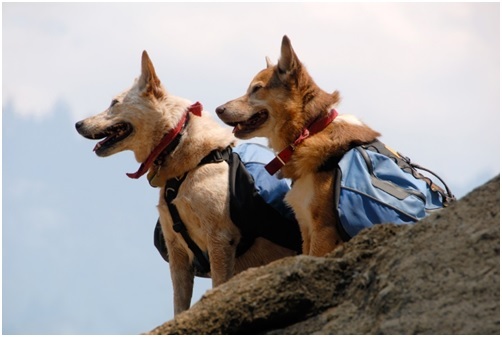 Carry bags with you when going for a hike with your friend. Portable doggie bag containers or doggie bags go for around $10. The last thing you want to do is take your unfit dog for a hike. Old and very young dogs don’t have the ability to handle similar trail lengths or intensity like others. You should be respectful of your pet’s limits. Avoid pushing them too much to exhaustion. Do you have any questions or concerns about how much is too much? The prudent thing to do is such a situation is to ask your vet. Is your dog panting intensely, foaming at the mouth, or lying down while hiking? All these are signs that you need to allow him or her to cool down. When stepping out for a hike, remember that you have two mouths to feed. Consequently, pack enough water and food. Since dogs don’t have fur coats and sweat like humans, their risk of overheating tends to be higher. While packing liquids for him or her, don’t forget to also include a collapsible dish to pour for him. Is it extremely hot? 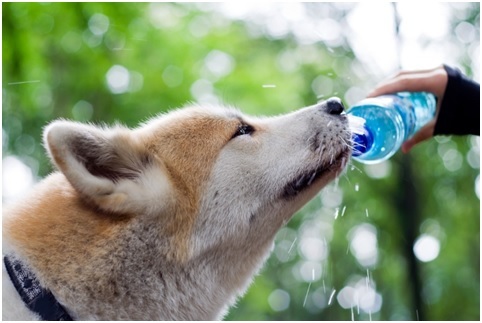 If yes, then it’s prudent to supplement your pet’s water with light electrolyte fluid. While you might be experiencing the hiking trail 5 – 6 feet above the ground, your pet is experiencing knee-high brush. He or she is sweeping past every sort of burrs, bugs, and plants. 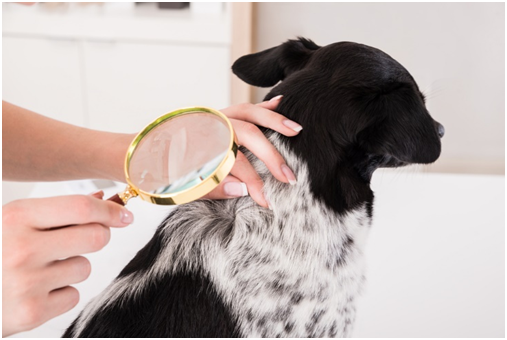 Therefore, always check the dog’s entire body for burns, cuts, ticks immediately you get back to the car after the hike. Does he have a tick? Remove it carefully. Is he dirty? How about you give him a post-hike bath? He’ll love it. Moreover, a bath is usually handy to help you check for injuries and tricks. It also helps to prevent skin allergies, which pop up occasionally. Just like small children, pets can be mischievous on the trail. 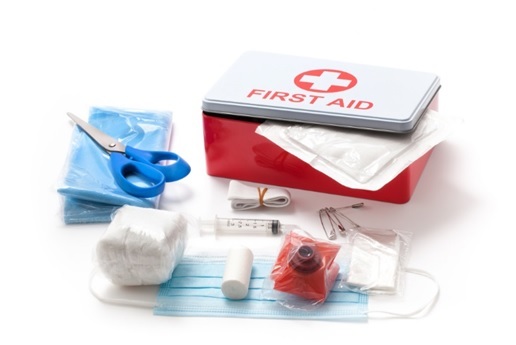 Carrying the first kit helps you attend to any burns, sprains, bites or gashes your pup might get. You should get one for as low as $30. Such a kit provides you with everything necessary to treat your pet in case he or she gets hurt on the trail. In case the injury is serious, feel free to consult your bet. Women can sometimes be vulnerable especially when they are alone. This is a situation that most criminals would usually take advantage of. You can reduce the chances of getting attacked just by walking with your dog. Do you think someone would dare attack you when you are having a Doberman pinscher with you? I guess not. Dogs can always act as an extra security in most occasions. If you take good care of them, they will for sure reciprocate the love. Why not turn your daily walk into a fun and interesting hike? Undeniably, exercise is necessary for both you and your dog. Many people often forget that dogs are pack animals. Their origin is deeply rooted in roaming, playing and hunting all day long together with their pack family. 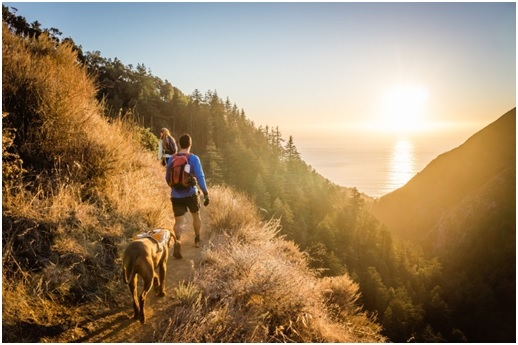 Are you already in the habit of hiking with your dog? Have you been looking for the best tips to help you have an easy time with your four-legged friend? Well, your search has come to an end! Apply the above tips today and discover their magic.